There is a popular quote which purports that a person’s hair is their beauty. Get a bad haircut, or try a new hair color and you can go from looking like J-Lo to looking like carrot top. 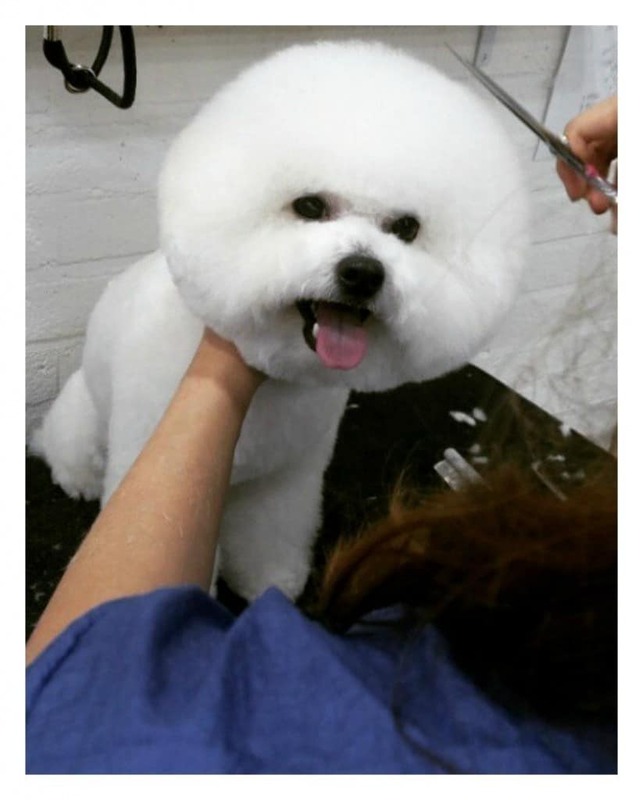 But, get a fabulous hairstyle and it can change your life! It can knock a few years off your age, and when the compliments start to roll in — it can definitely brighten up your mood. 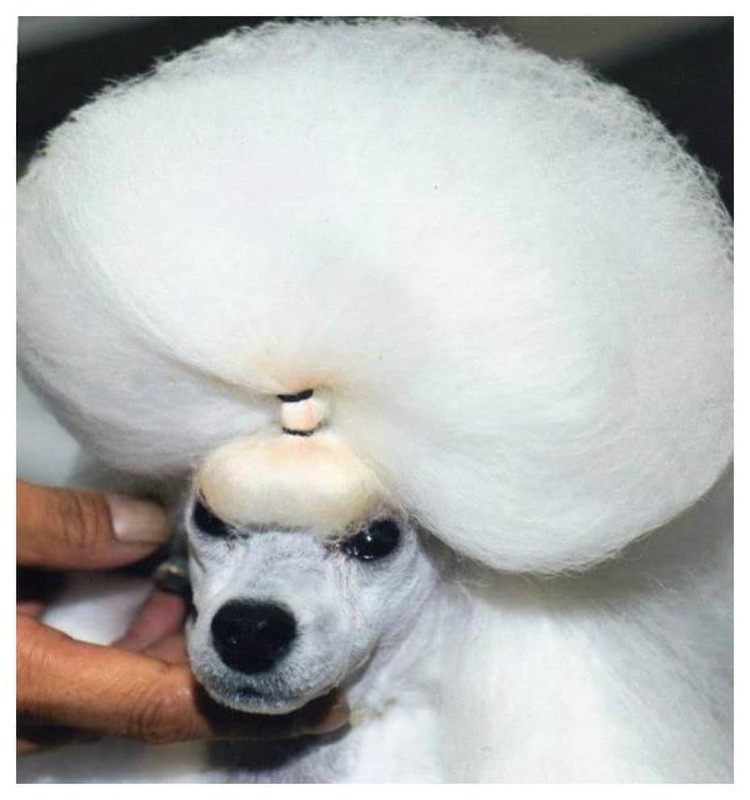 Yes people, hair is extremely important and even dogs seem to agree. 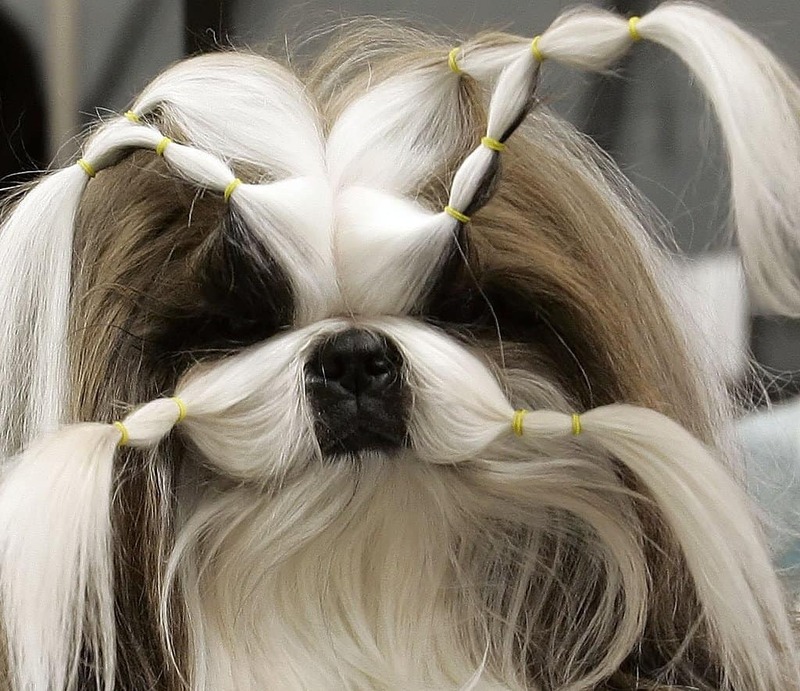 Some pups are just as invested in their hair as we are — just take a look a these fabulous and hilarious doggy hairstyles and see for yourselves. 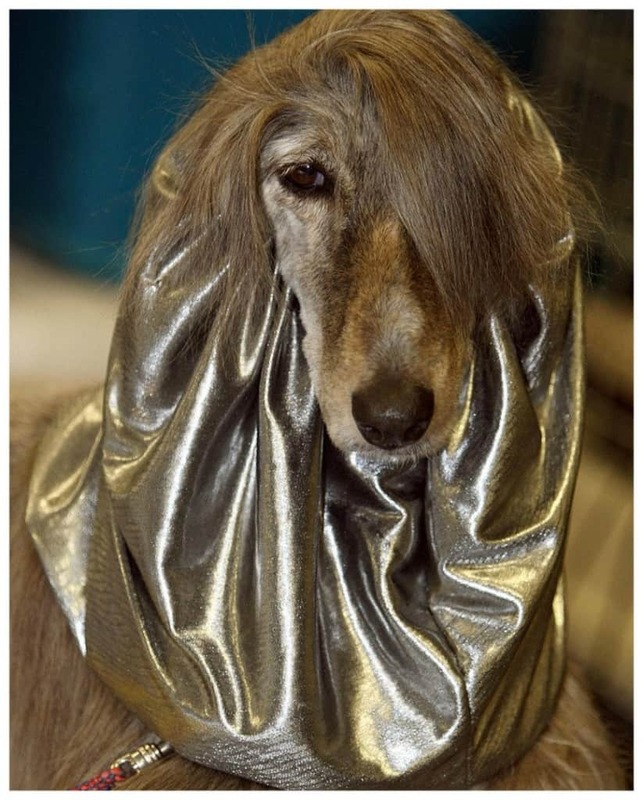 This fashionable dog is perfectly in tune with the latest hair trends. 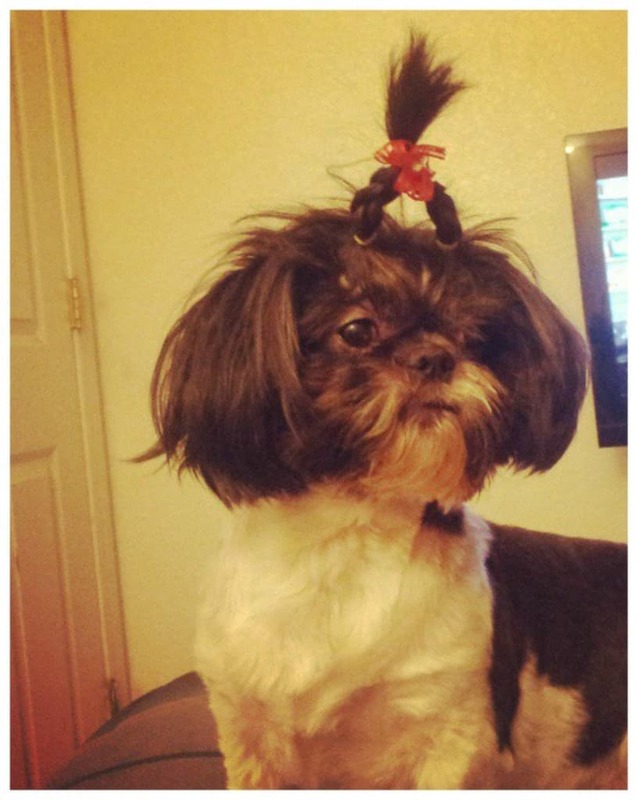 Topknots are totally in style right now! 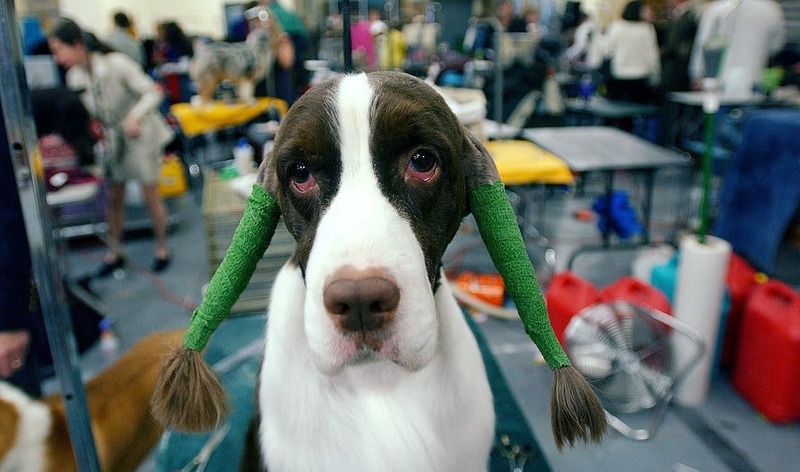 This English Springer Spaniel seems not too pleased about his milkmaid inspired hairstyle. Doesn’t he look cute though? Any second now this dog is gonna bite its owner’s hand off for putting him in this huge, curly wig. Or maybe he likes the hair, its hard to tell! 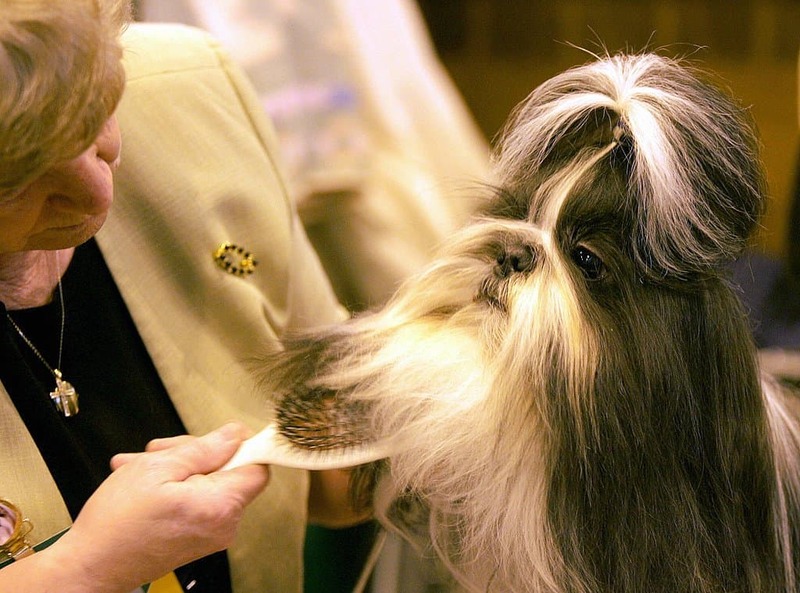 This little Shih Tzu is clearly a fan of Jersey Shore on MTV, judging by her fabulous Snookie inspired hairstyle. 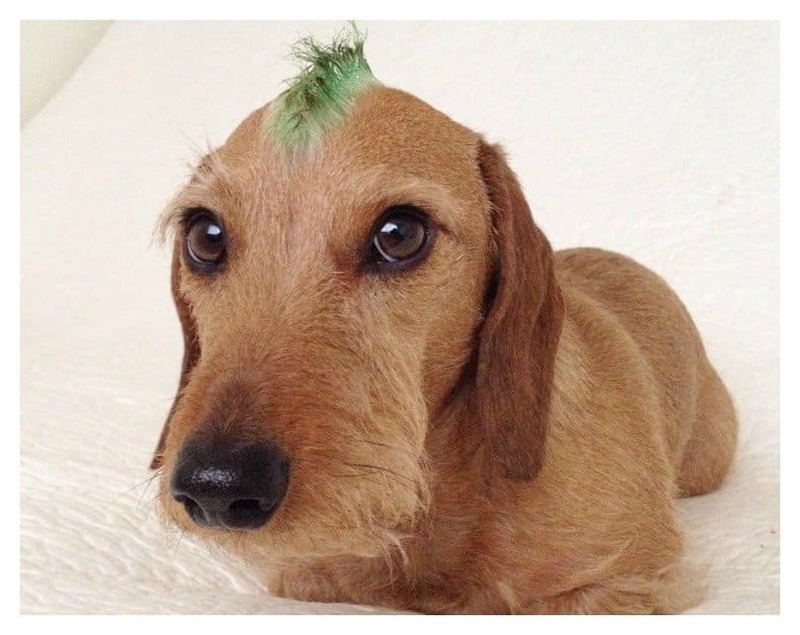 This handsome pup is rocking his green mohawk with lots of attitude and style. 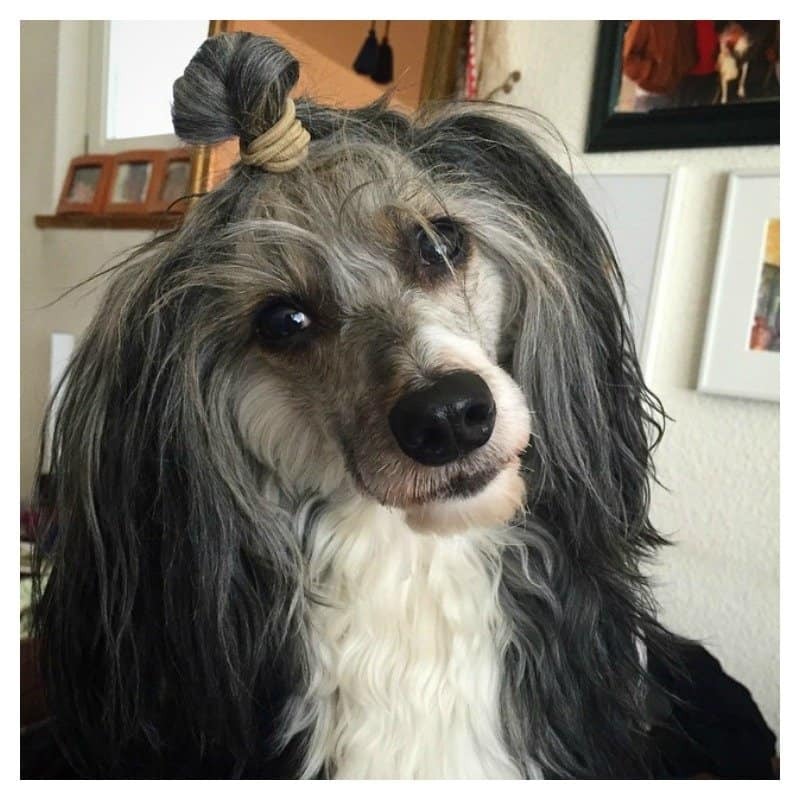 This beautiful dog is too cute with her double ponytail, which seems to add a touch of innocence; just look at those eyes…awww! 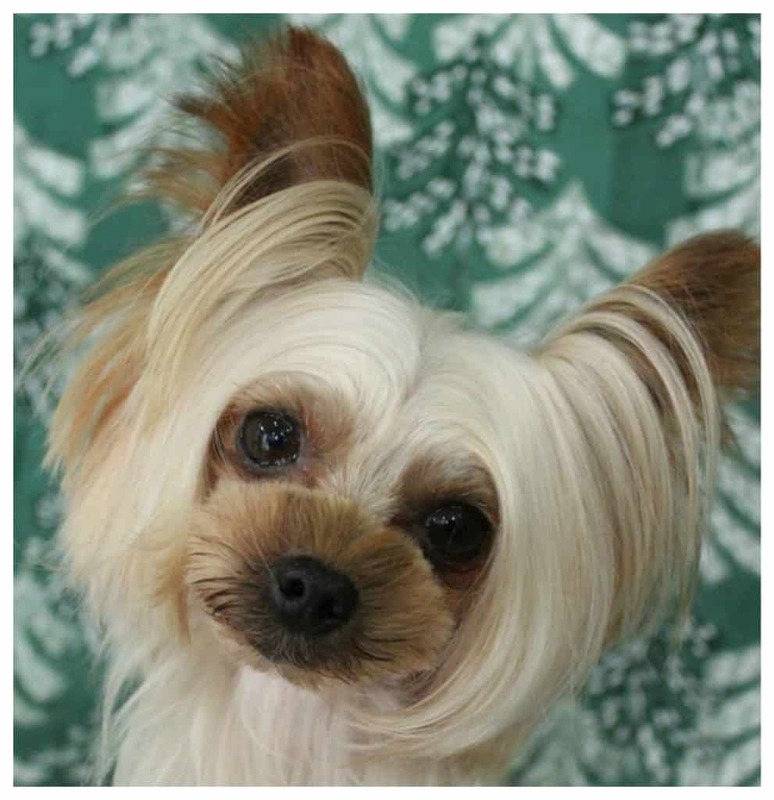 The elastic band trend went out the door years ago, but this little adorable dog might bring it back in style thanks to this unique hairstyle. 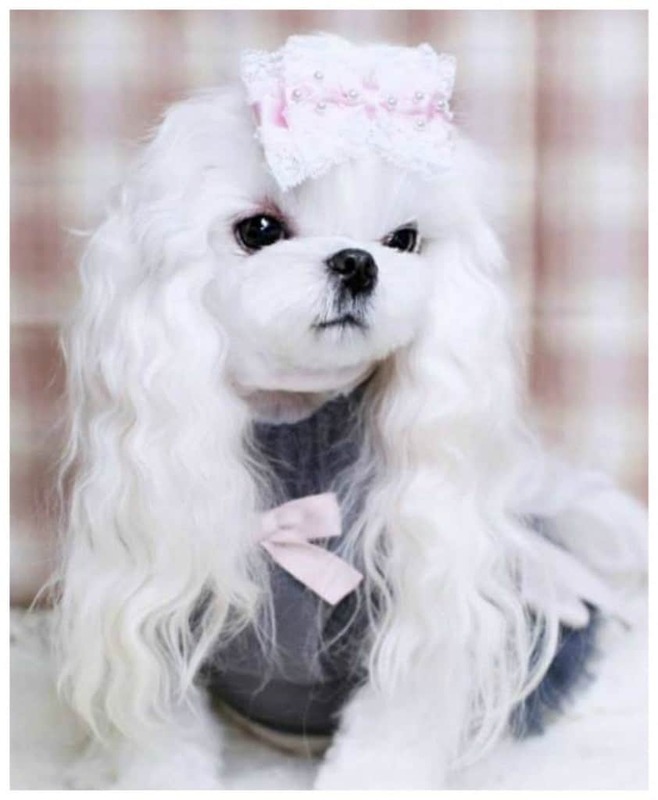 This fabulous pup should be on a runway showing off the latest haute couture doggy fashion; this style is fierce! 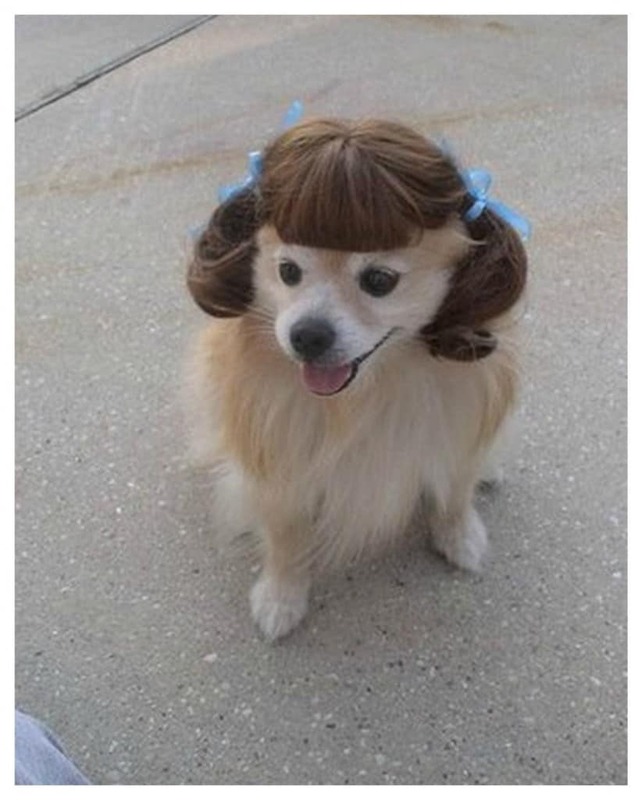 This fashion forward dog is certainly keeping up with the latest hair trends judging by her fab asymmetric bangs. Oh, and that gold headpiece totally pulls the whole look together! 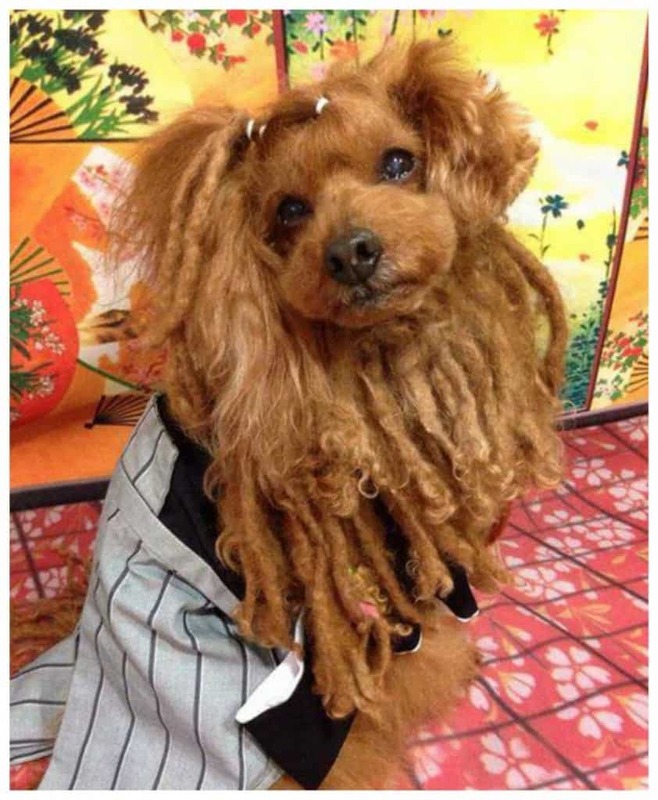 This little pup looks a bit sad, but if she could see just how cute those dreadlocks are she would totally perk up! Julianne Moore recently rocked the crimped look on the red carpet and this little pup clearly took note — just look at that hair! This diva couldn’t decide on just one hairstyle, so she opted for two; cute double braids on top, and a short bob on the sides. Remember the Rachael? 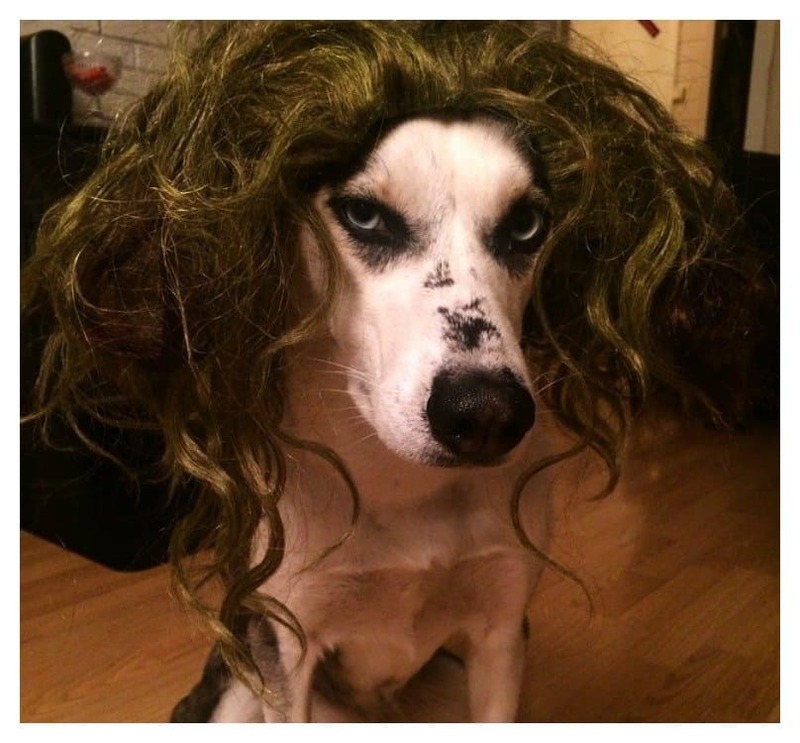 Well this is the ‘dogchael’. 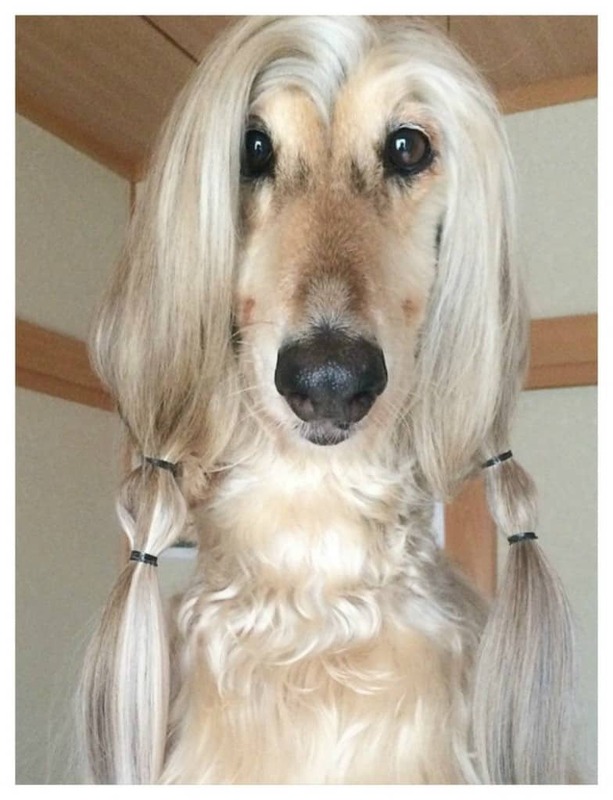 I dare you to try and rock a pair of pigtails the way this dog can. 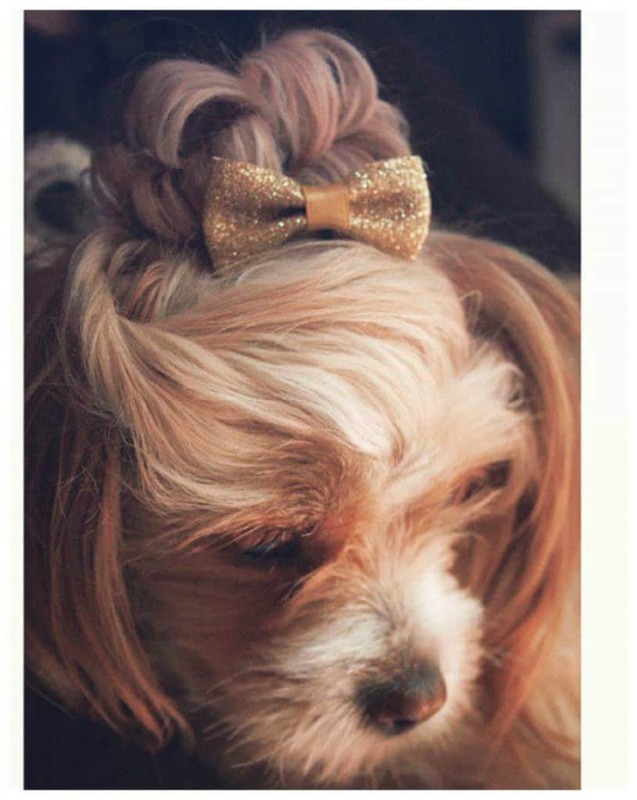 Not many pups could pull of this fancy-schmancy up-do hairstyle, but this little cutie sure does. And, that gold bow adds a classic touch! 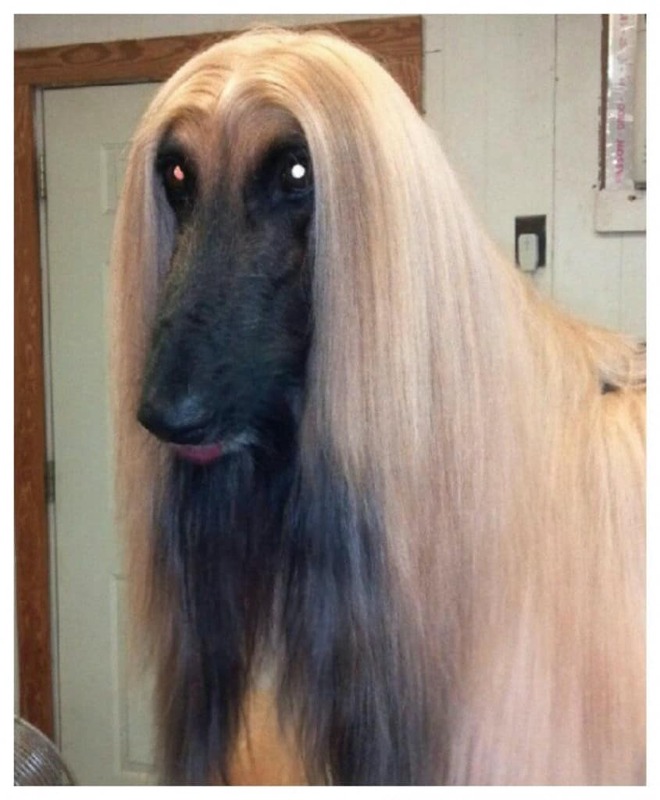 Some of us have to use a flat iron and tons of hair products to achieve this bone-straight hairstyle, but for this dog it doesn’t take much effort. 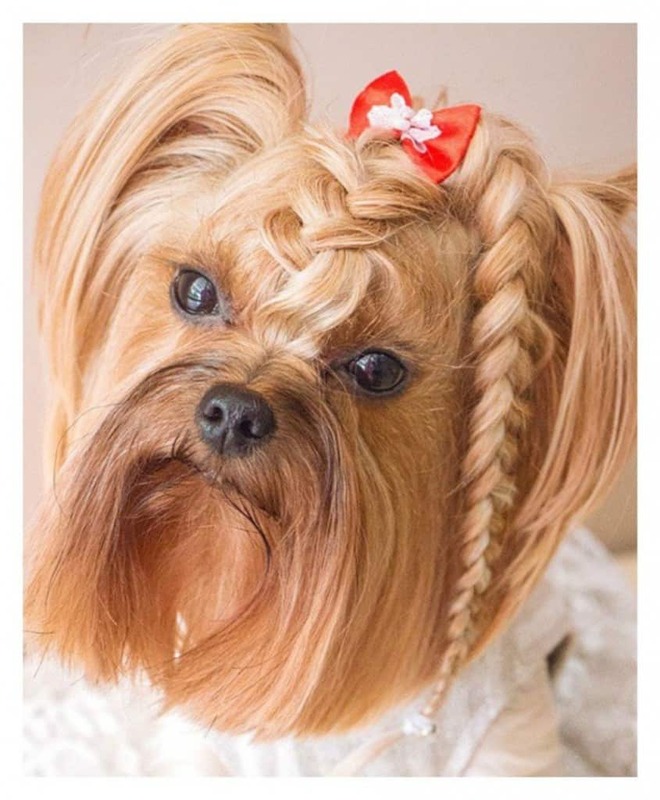 This little dog knows that the perfect go-to style for when you’re having a bad hair day is cornrows and a side braid. I don’t know who came up with this circular hairstyle, but let’s hope it doesn’t turn into a trend because it’s not very flattering. 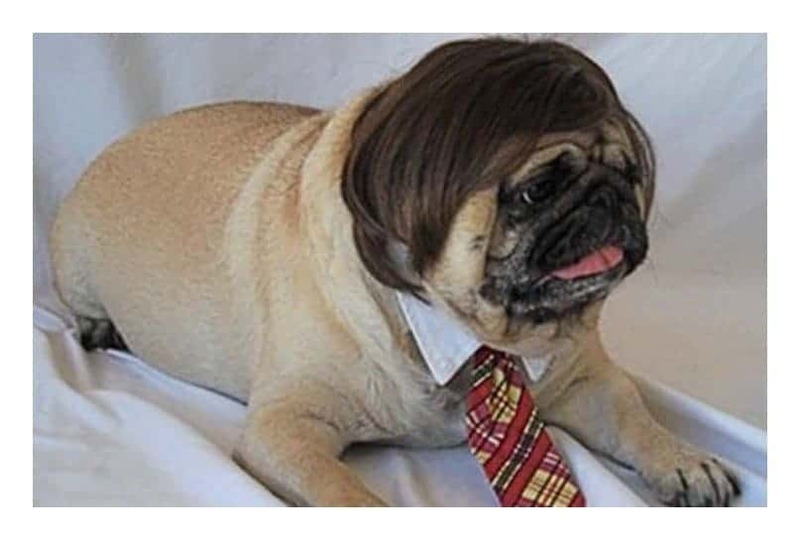 I’m not sure if this is a toupee or a wig, but if this bulldog is okay with it, then so are we. 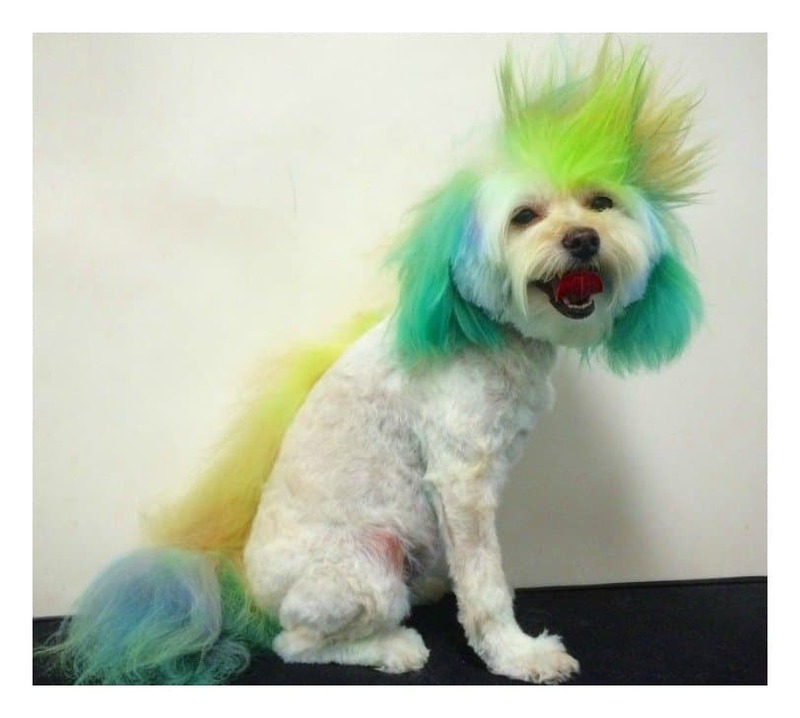 This ‘wild-child’ is taking the colored hair trend to a whole new level with his bright green locks. He’s clearly on to something — because pop star Kesha also just showed off her newly colored, green hair.